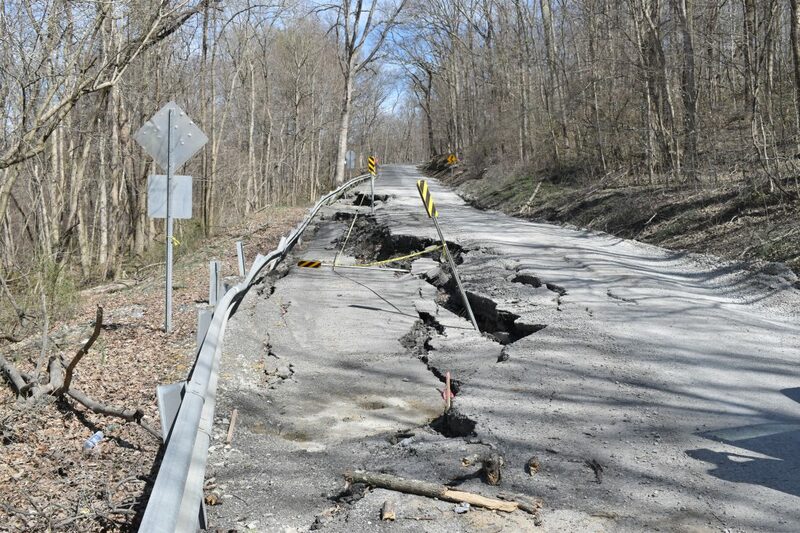 CAMERON — Marshall County’s roads are literally falling apart. 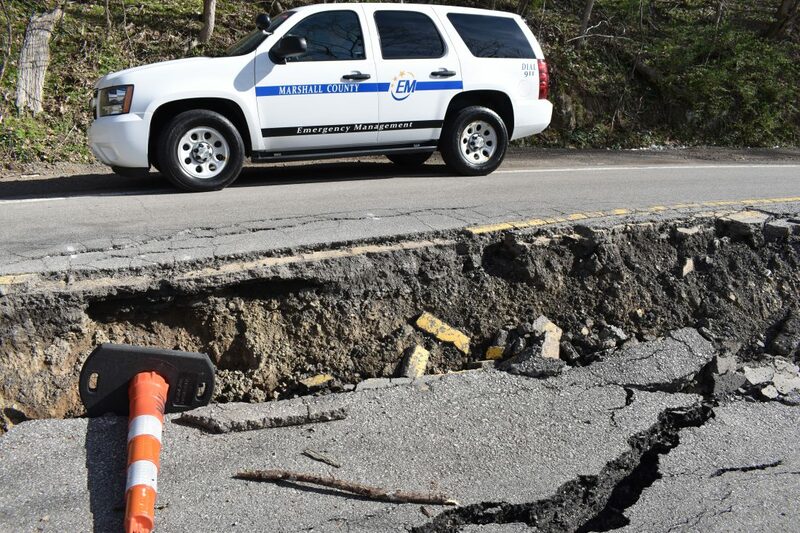 Sure, there are potholes on the stretch of W.Va. 2 that runs through Moundsville and on other streets and highways in the area. But the Marshall County Commission did not declare a State of Emergency because of potholes. 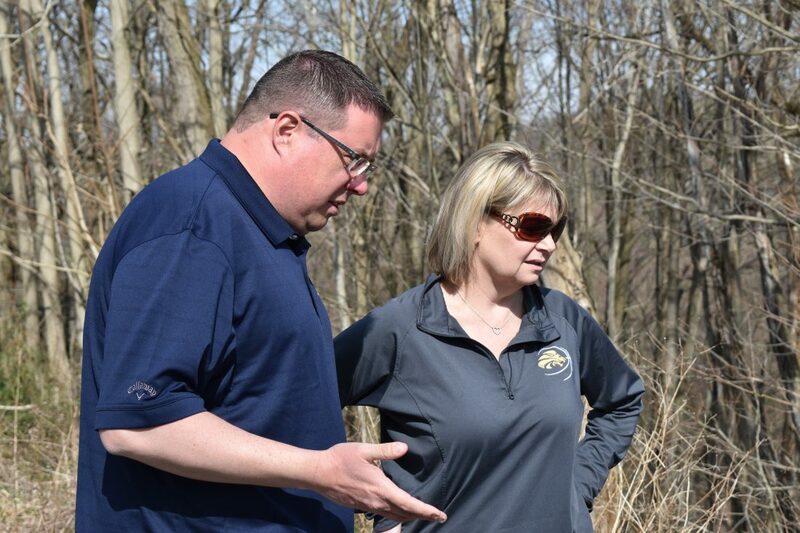 A tour of the county’s ridges and valleys last week with Tom Hart, emergency management director, and Betsy Frohnapfel, county administrator, was eye-opening. 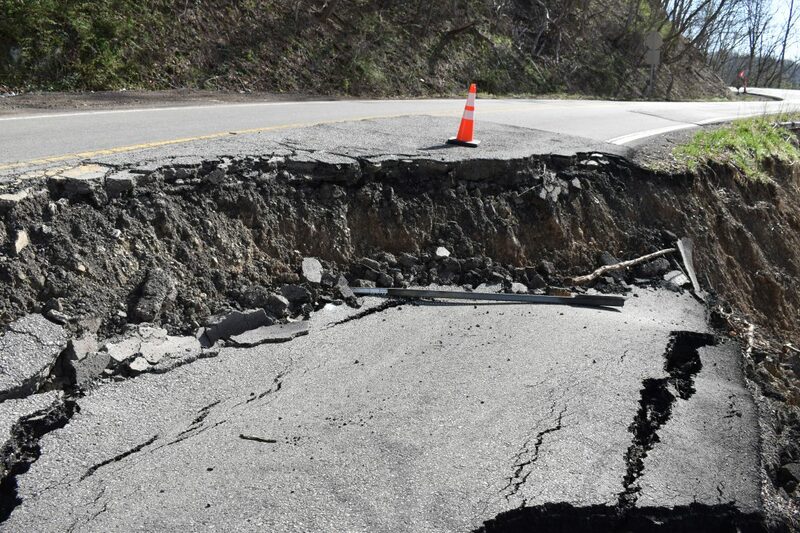 It revealed that roads all throughout the county are buckling, crumbling and slipping over hillsides, making some places impassable for heavy trucks, school buses and emergency response vehicles — and that is what constitutes a State of Emergency. 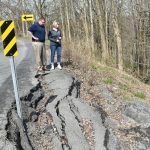 Regardless of whether it was a county road or a federal highway, every road traveled during the more than three-hour tour showed severe damage. 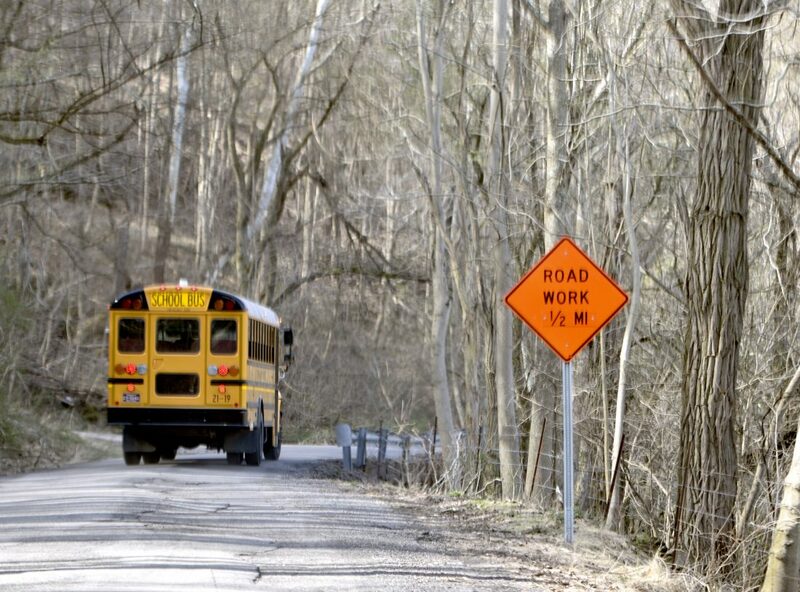 From Big Grave Creek Road on the outskirts of Moundsville to Sally’s Backbone, Bowman’s Ridge, Shutler Hill as Irish Ridge, St. Joseph and Fish Creek roads and even U.S. 250, frequent stops were necessary due to areas that were reduced to a single lane. 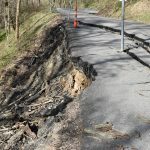 Hart said a combination of nearly constant, heavy traffic associated with the natural gas and oil industry and erosion resulting from severe, wet weather created the problem areas. 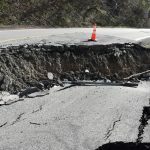 Hart worries that in the event of a major emergency incident, responders from other areas attempting to provide mutual aid would find it impossible to reach certain parts of the county due to road conditions. He noted that a tanker truck responding to a fire would be loaded with about 2,500 gallons of water, making the vehicle too heavy to safely pass over pavement that has been undermined and become unstable. Bright orange signs warning of “Road Work Ahead” or advising motorists to “Be Prepared to Stop” were posted at regular intervals along each of these routes. Barrels and striped sign posts marked areas where pavement had fallen away, sometimes as far as 5-6 feet below the rest of the road surface. 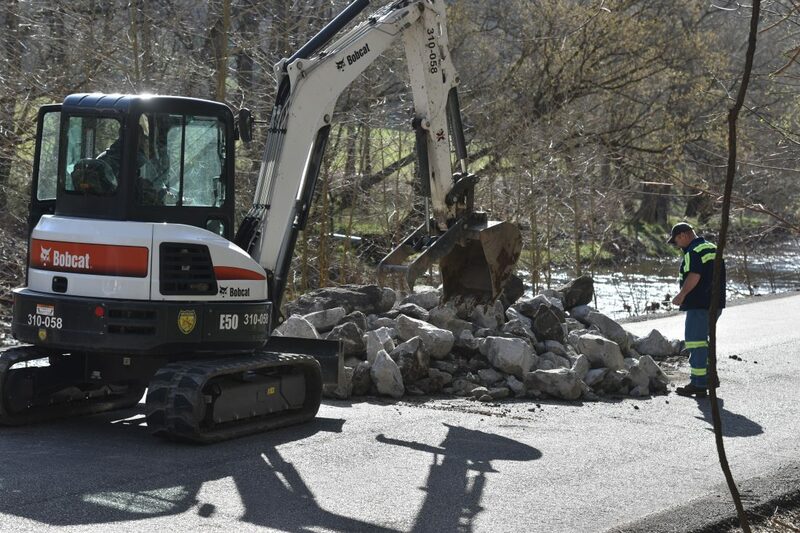 Hart pointed out that many of the needed repair projects fall under the control of the Federal Emergency Management Agency, because the damage appeared after major weather events. He said such projects are subject to “very specific” federal rules and restrictions, such as what type of stone can be used to fill voids. He said this limits what work crews can accomplish and how quickly the work can be done. 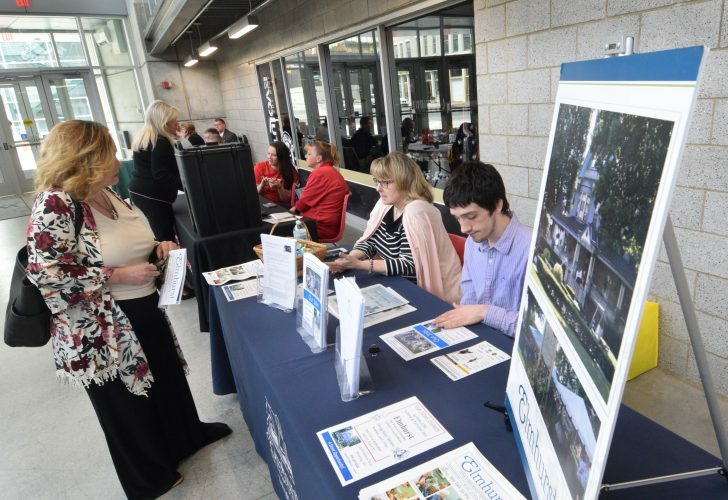 Frohnapfel said she recently attended a meeting regarding FEMA repairs and learned how “cumbersome” the process of making repairs while adhering to those guidelines can be. 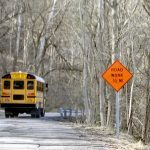 Hart and Frohnapfel also said they are concerned about more than just roads and the dangers to motorists. 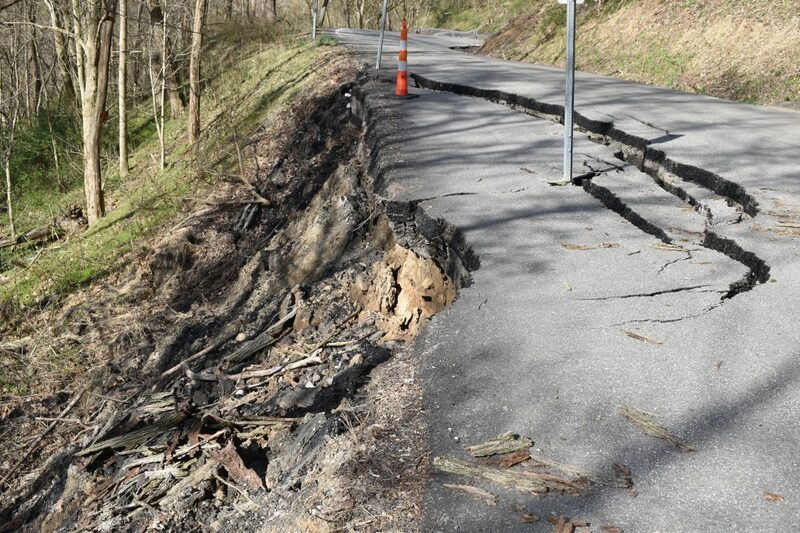 In some areas, such as W.Va. 86 and Oak Avenue leading into Grand Vue Park, they are worried tat homes located above some of the hillside slips could begin to shift and slide as well. Frohnapfel noted that one slip has left Mountaineer Gas Co. to deal with an exposed line. As Hart drove through the countryside, passing wild turkeys, squirrels, groundhogs and other wildlife, he said that anyone planning a 30-minute trip in the county should allow 45-50 minutes or more to make it to their destination on time due to the dangerous road conditions. “It’s just not safe for the big trucks to drive at a high rate of speed,” he noted. 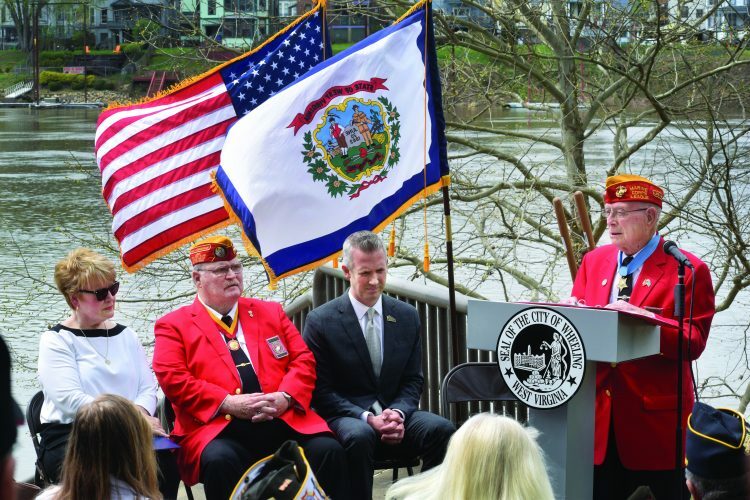 “People who drive the riverfront truly don’t get it,” Frohnapfel added. 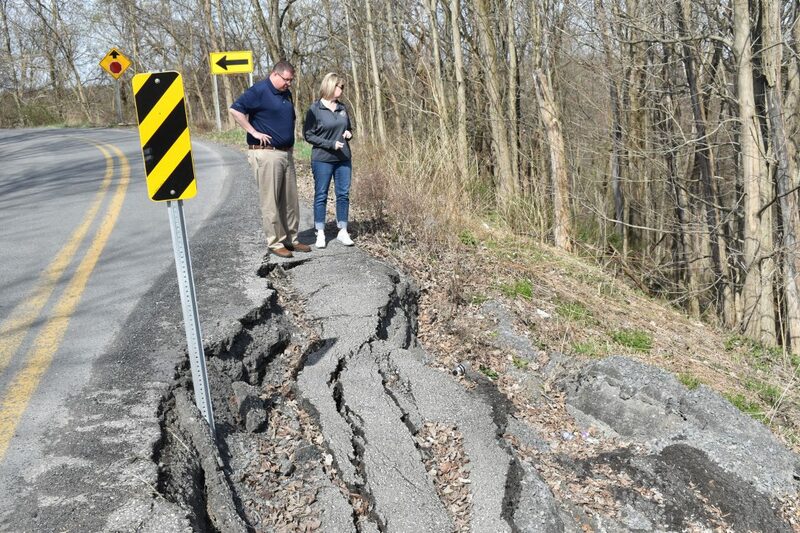 When contacted after the tour, commission President Scott Varner and Commissioners John Gruzinskas and Mike Ferro all agreed that they have no control over road conditions or repairs, but they hope to get the attention of the officials who can make a difference. Those officials are Gov. Jim Justice and the Department of Transportation Division of Highways leaders in Charleston. 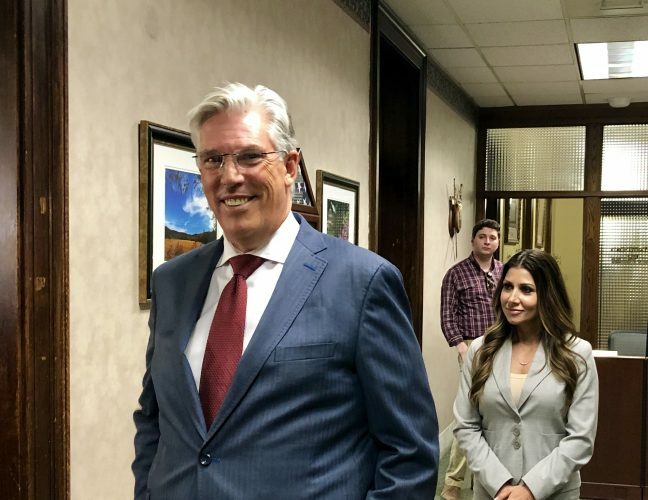 Gruzinskas, a former county sheriff who is keenly aware of how dangerous such road conditions can be, said he does his best to act as an intermediary between the constituents who contact him seeking help and the proper authorities in the state capital. 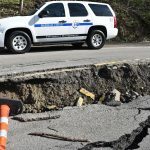 Gruzinskas said he could not speculate about the potential cost of fixing all the county’s roads, noting that information from the DOH indicates it costs $2 million to pave a 1-mile stretch of straight roadway. 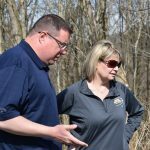 Varner said he hopes to start a conversation with the appropriate people in Charleston and some of the companies working in the county, noting that some companies already have come forward and asked what they can do to help. 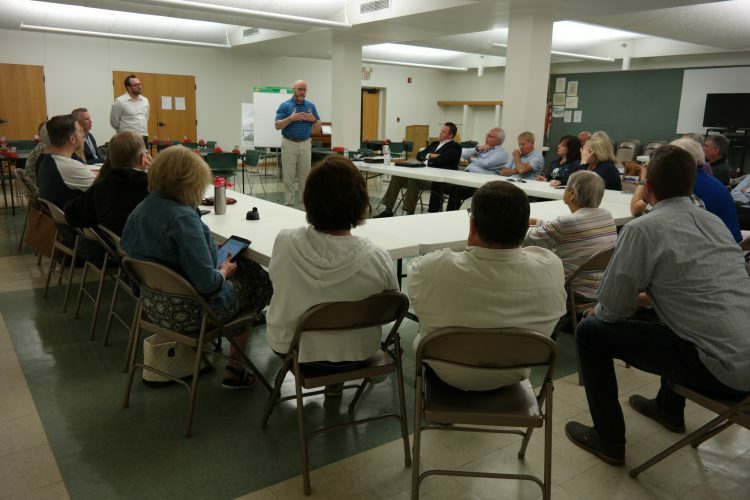 Ferro, also a former delegate, pointed to the large size of Marshall County, noting it is one of the largest in the state in terms of square miles. 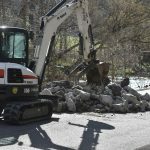 Hart said there are 679.5 miles of roadway in the county, and Ferro said the DOH has listed more than 700 slips along those roadways. 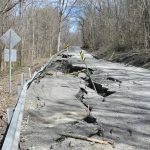 All three commissioners, Hart and Frohnapfel agreed that local DOH crews are not to blame for Marshall County’s road problems. They said the DOH office in Glen Dale suffers from a lack of manpower and equipment. 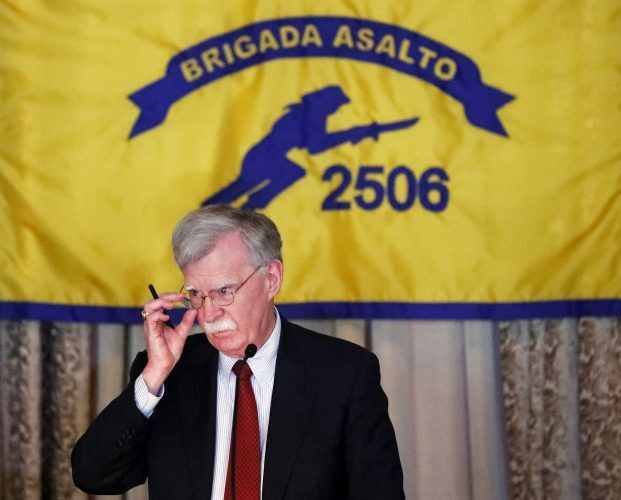 Ferro added that county officials have invited Justice and DOH officials from Charleston to visit the county but, to the best of his knowledge, they had not responded by Saturday.